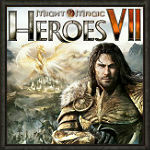 Might & Magic: Heroes VII has received yet another big update, featuring fixes and improvements for multiplayer, level design, combat and general gameplay. Patch also includes new balancing changes for the Champion creatures, and you can find more details in the full patch notes. As always, the patch should be downloading automatically via Uplay or Steam.